This example illustates basic use of the NMEA library. 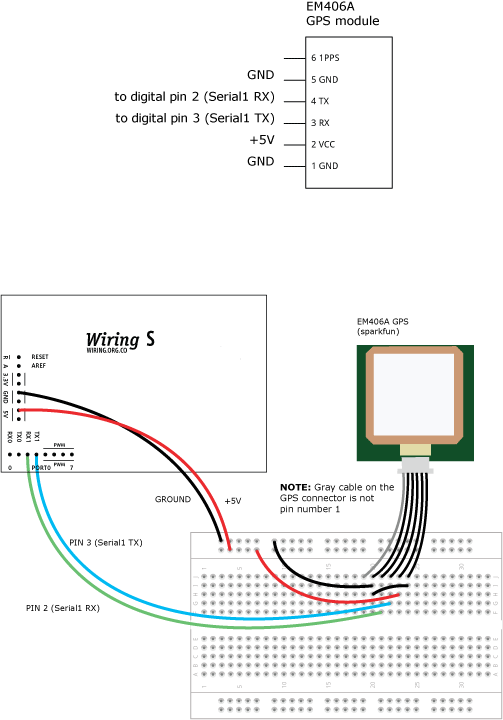 It assumes that a GPS receiver is connected to serial port 'Serial1' at 4800 bps, an LED is connected to digital i/o pin 8. A GPS data connection of type GPRMC is created, and used to get position information. When the GPS position is in the state of Colorado (USA), the LED lights up, otherwise it is off.